Though their fame became legend, a rumor cropped up about the Fulmer family: Something terrifying stalked Caitlin and her beloved Trevor. Something the bits and pieces she left claimed she had to make sense of. When the curator of their collection finds Caitlin's long forgotten diary, she wonders will it tell the whole tale? Will it tell why Caitlin seemed so determined to tell the difference between reality and nightmare even as she continued the fight to defend her family from evil? Will it explain why she thought her world twisted? If she really became a witch? Perhaps the answer lies between the lines of her story, one of lessons, struggles, and the hopes she carried like a warrior's shield. In a diary left by a gifted, yet tormented woman, is it possible to find answers to hidden family secrets? Are Caitlin’s thoughts and vivid descriptions of her nightmares based on reality? Do they tell of a terror-struck human caught between reality and the dream world or do they relate to the present day, as well? Clearly meant to be read between book one and two of Juli D. Revezzo’s Antique Magic series, I couldn’t resist when I saw this author’s name in the byline. 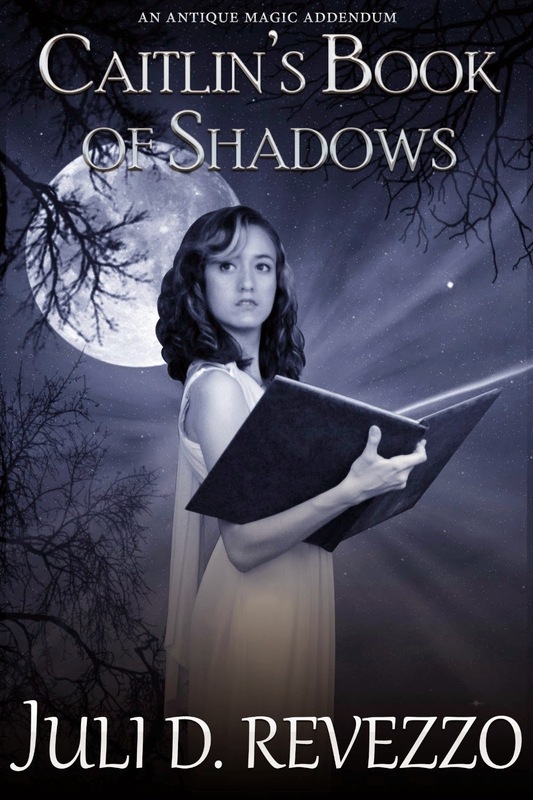 Caitlin’s Book of Shadows is dark, frightening and conveys the turmoil of a time long ago in a way that only Juli D. Revezzo can tell. If you have been thinking about reading this series, do it, in order and maybe not right before bedtime. Dark, taut and closer to horror than fantasy, if this is representative of the series…I highly recommend it! I’m going to read it! Thank you for your fine review, Dii, and for reading Caitlin's Book of Shadows! I hope your readers will enjoy it. Have a great Memorial Day weekend, everyone. Thanks for stopping by! Best of luck!